We received a rather lovely parcel this week, containing The Great British Bake Off recipe book, a voucher for the new app, and all the ingredients to make the Perfect Victoria Sandwich. The app features 50 yummy recipes. I love cooking apps, as you can access ingredients and inspiration wherever you are, which is especially useful in the supermarket. The cake was amazingly easy to make, and took less than 20 minutes preparation time. My usual method of baking a sponge cake is to just stick everything in the mixing bowl and whizz it all up, but by following this recipe and getting as much air into the mixture as possible, I have created a far superior sponge. Z and S have spent most of this afternoon drooling over other recipes from the app, they look amazing. Top of our list is the Sticky Maple-Apple traybake and quick chocolate fudge cake. The app is very easy to use, you can add ingredients to a shopping list, browse by cake type and even make a list of favourite cakes. The recipes are very easy to follow and come with lots of helpful tips. Z read the instructions to me and helpfully added a line ‘let your children lick the spoon’ which amused me somewhat! You can follow The Great British Bake Off App on twitter. For the next 10 weeks, other bloggers will also be baking using recipes from the app. Make sure you take a note of the letters on each cake as they will form an anagram of a baking related word for you to guess. I am all set for a summer of baking now, especially after watching the first episode on the TV last night. You can see the scrummy looking Caramel Layer cake over on Life at the Zoo. i am also jealous! I watched it last night and loved it. Happy baking! I Heart Motherhood recently posted..Poppy Cat DVD Giveaway! The cake looks amazing. What’s the ring on the top of the cake? Other bloggers will be baking also, so you have to make a note of the letter on the cake and then at the end they are an anagram. I need this NOW-for breakfast! Oh I couldn’t work out what the yellow circle was. Looks yummy! Looks like it turned out great. amber recently posted..Elmo Is Coming to Jacksonville! 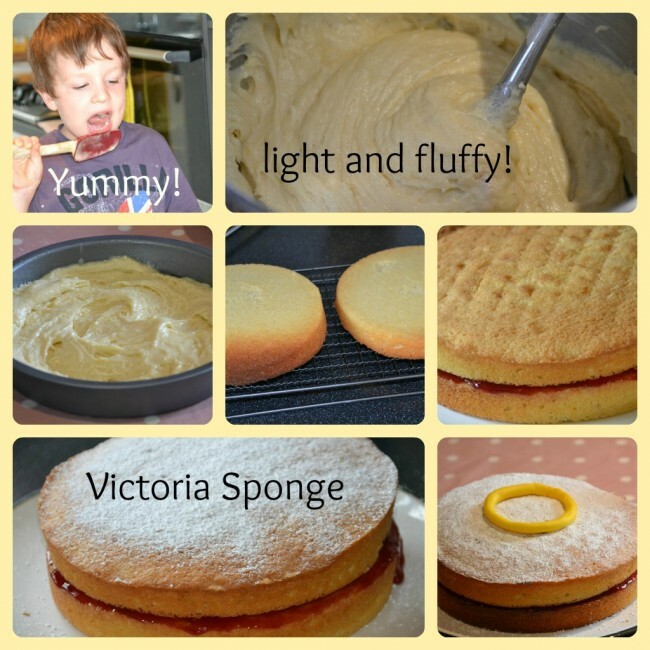 Oh I do LOVE a Victoria Sponge! Yours looks mighty fluffy! 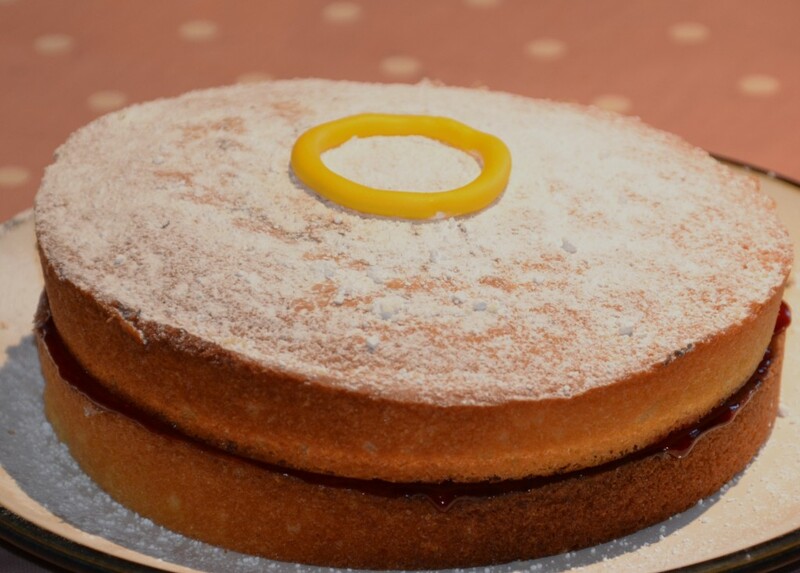 Chris at Thinly Spread recently posted..Gorgeous Lemon Cream Cake for the Great British Bake Off!